The Central City Brew Pub on Beatty Street has a very unique item on their tap menu: a mystery pour. Always game for trying something adventurous, Mrs. Sip ordered it and waited anxiously for the results. When the beverage arrived, we got to play the guessing game of “What’s in my Glass” and the answer was Powell Street’s Old Jalopy Pale Ale. The beer is quite good, having been named the Canadian Beer of the Year at the 2013 Canadian Brewing Awards. On our last visit to Powell Street Brewing, during the summer, I ranked it as one my favourite stops of our day, which included popping into eight different locations around Vancouver. We will certainly be back again soon. It may not have been our favourite brew of the night, but you can’t beat paying $3 for a full serving of an award-winning beer at a restaurant. Much thanks to the server who encouraged us to give it a shot. 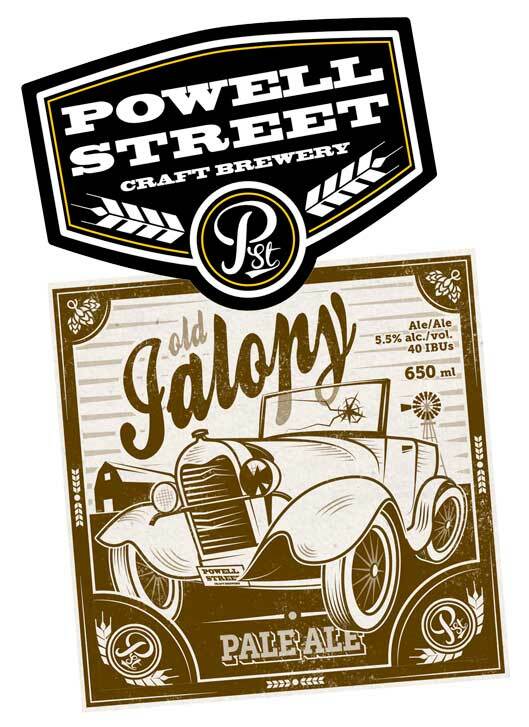 This entry was posted in BC Beer Baron and tagged BC Craft Beer, Canadian Beer of the Year, Canadian Brewing Awards, Central City Brew Pub, Craft Beer, Old Jalopy Pale Ale, Powell Street Brewing, Vancouver by Daniel Wilson. Bookmark the permalink.